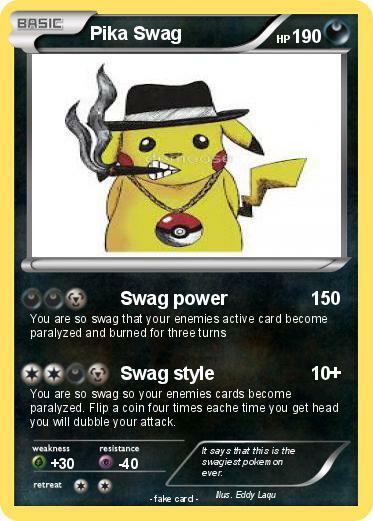 You are so swag so your enemies cards become paralyzed. Flip a coin four times eache time you get head you will dubble your attack. Comments : It says that this is the swagiest pokemon ever.